When people hear about church multiplication (church planting & multiple campuses), they often think, "But don't we have enough churches in the U.S.?" If you think that, look at this list that depicts the number of churches per person in the U.S. over the last 184 years. "The single most effective evangelistic methodology under heaven is planting new churches." Indiana Ministries concurs! New churches win hearts to God that established churches simply are not able to win. Any church tribe needs to plant 3% new churches each year to survive and 4% to thrive. We want to thrive and help fulfill the Great Commission! A key element of Indiana Ministries’ mission is to “partner with local congregations in multiplying growing, healthy churches.” Our goal is 6 multiplications by 2020. If you are interested in being a church multiplier or your church is interested in partnering for multiplication, checkout the links below or contact Doug Talley or Tom Planck for a pre-assessment or a conversation. United City is our latest church plant launching in October 2018! United City Church is a safe place where all people—whatever their skin color, economic status, or religious background—can gather together, bring honest doubts, explore faith in Jesus Christ and serve the Indianapolis community! 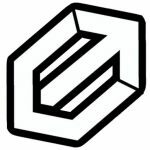 We have partnered with a group of like-minded people, family, and friends we’ve made over the years, who have graciously offered to support us in fulfilling this dream. After some searching and a bit of prayer, we stepped out in faith and landed in Crown Point, Indiana in 2014. As we have responded to God’s call, we have met lots of people here who share this dream and have joined us on the adventure! 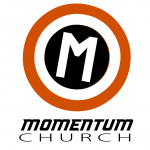 In November 2014, we launched Momentum Church in Crown Point. We are excited to be meeting on Sunday mornings at Crown Point High School at 10 a.m. Most recently, God has blessed us with the opportunity to launch a second location for Momentum Church at a facility we acquired through some ministry connections in the region. We launched Catalyst Church on February 7th, 2010 in Pendleton, Indiana with one purpose in mind…that everyone who walks through a door to a worship experience, a Catalyst Kidz environment, A Catalyst Connection Group, or a community/connection event would find a safe place to explore their faith questions. We want to pursue the first steps and next steps together in our journeys with God. We know that all of us come from different backgrounds and faith traditions, and that we bring lots of different perspectives and life experiences. That’s great! No two people are meant to have the same story. We are looking to understand the way of Jesus clearly and seeking to figure out what it means to be a follower of Jesus today. Whatever your thoughts are about church, whatever your beliefs about God, we want you to know you are welcome here. We hope you enjoy yourself and find yourself excited about seeking God a little more than before you came. Be open. You may be surprised by how God desires to connect with you on a profound and personal level. 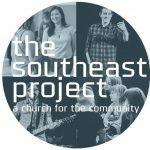 Southeast is a church community on the southeast side of Indianapolis creating a different kind of church; a community of people seeking to be genuine, life-changing and impactful. And, you’re invited. A casual, laid back, atmosphere that feels real. Messages you can understand and apply to your life. Music you can relate to from our live band. Environments your kids will love and ask to come back to.